Are you considering making a visit to the local pool and would like to allow baby to gain confidence while enjoying the water? 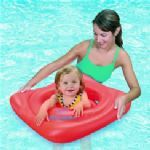 Making use of a baby swim seat can be an effective way to teach confidence while spending time in the water and can be an effective way to develop a healthy relationship toward water that will outlast through the entire life. 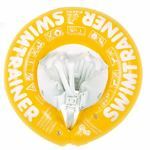 Baby swim seats are often available through the local pool, but it is important to introduce baby to water through the safety and security of the arms of the parents or caregivers before transitioning baby to these baby swim seats. First, the child should be introduced to warm, calm water and allowed to explore the water through the arms of the parent. Once the child is comfortable with this process, introducing the baby swim seat (while the parent remains in close proximity) can be an effective way to teach control and self confidence of the baby in the water. There are many benefits to using these baby swim seats. First, the baby is able to explore the water with ease and learn the natural movements that can be felt through the legs that come with swimming. Learning these movements can help to build the foundation and develop confidence for how the body is going to propel while spending time in the water. 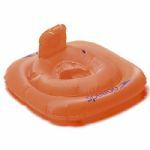 As well, the child is able to build confidence while being introduced to these swim seats slowly, as they are able to ensure that the parent will be available when needed. 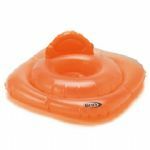 Parents can help to increase confidence while making use of these seats by remaining in close proximity, making eye contact with baby and ensuring that they are speaking in a calm and clear voice while reassuring baby in the water.